A team of television historians will travel back in time as they bring a vintage BBC outside broadcast truck back to life in North Wales, using the latest fixed-rig multi-camera technology to show how television was made in a bygone era. 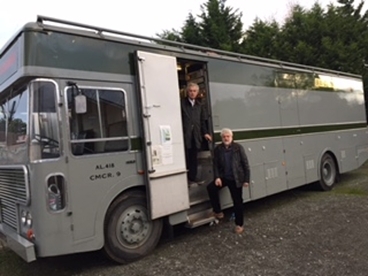 Working with Flintshire-based broadcasting history enthusiast Steve Harris, the team from Royal Holloway University of London will reunite veteran cameramen, directors and engineers with North 3, a restored colour mobile control room dating from the late 1960s. In order to capture the complicated action taking place within a busy outside broadcast truck, the event will be filmed using a fixed rig of 12 cameras, installed by production company Lion Eyes. The aim is to capture every flick of a switch, push of a button and slide of a fader as the veteran crew of cameramen and technicians – most of them now in the 70s and 80s – return to work in an OB vehicle that’s long been consigned to history. North 3, a Type 2 BBC Colour Mobile Control Room, travelled the length and breadth of the country during the 1970s, relaying live footage of Royal Ascot, The Open from St Andrews and the Royal Variety Performance from the London Palladium. It ended its life with the BBC in the early 1980s, and spent several decades decaying at an airfield in Devon, before being rescued and restored by Hawarden-based television historian Steve Harris. 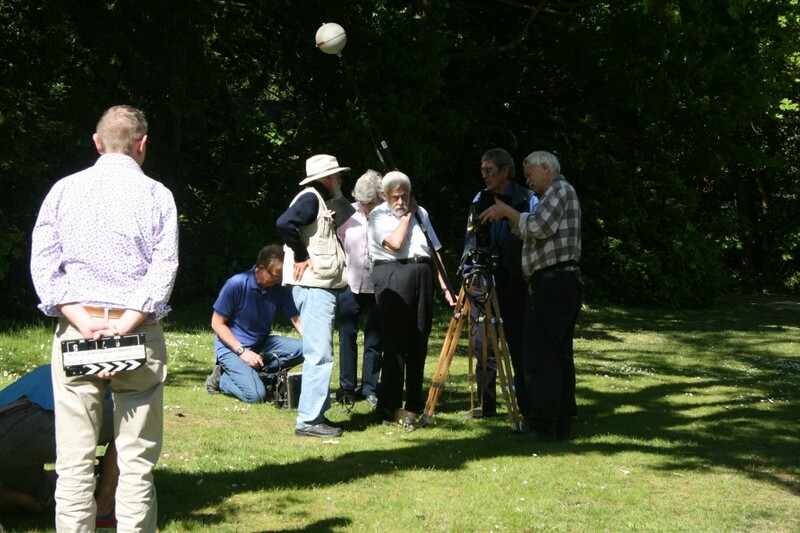 Now ADAPT’s researchers from Royal Holloway are using their European Research Council funding to embark on a hugely ambitious “hands on” history event during which a full outside broadcast crew will be re-united with the restored vehicle to recreate a 1970s sports television production. The experiment, which will take place next week (May 17, 18, 19) will be the first time that anyone has attempted to see the restored North 3 operational and staffed by its original crew. The vehicle, an analogue ancestor of today’s digital satellite outside broadcast trucks, is the only survivor of its type in working order. Working with Steve Harris, the team from Royal Holloway have located a team of former outside broadcast camera operators and engineers. For first time in several decades, they will be reunited with North 3 and re-live the experiences of their earlier careers. 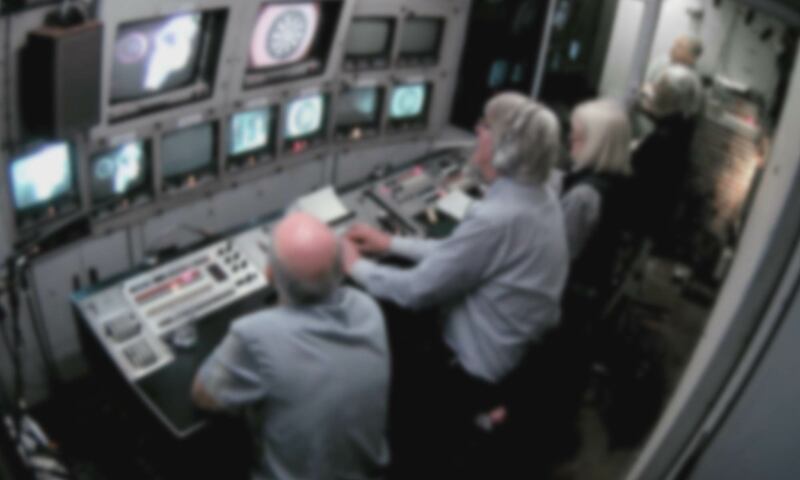 Using restored 1970s television technology, the team will record a darts match and conduct interviews with former television production personnel. 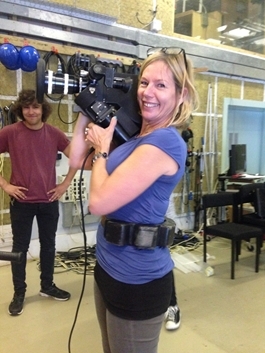 The multi-angle exercise will help the Royal Holloway team, led by Prof John Ellis of the college’s Media Arts department, to learn more about how television was made in the 1970s and 1980s. Digital producer Amanda Murphy, who is organising and directing the event, said: “We were battling with how to cover a 20-strong veteran crew in the rather tight space of the old Type 2 OB, so Martin’s fixed rig solution is ideal. The complexity of the event means that it will not be open to the public, but footage and interviews from the event will be uploaded to YouTube during the week. Press photographers and video journalists are welcome to visit the location by prior arrangement. North 3 and the team will be at Northop Hall Hotel, Hawarden on May 17, 18, and 19. Interviews can be arranged with Steve Harris, the project leader Prof John Ellis, and the producer Amanda Murphy. For further information and to organise photo opportunities / interviews, please email Nick Hall – nick.hall@rhul.ac.uk. Back in November last year, Professor John Ellis and I travelled up north to meet with Steve Harris, owner of a restored outside broadcast (OB) truck used in the 1960s and 1970s to broadcast much of the BBC’s live sport (including Grandstand) and all sorts of events from royal weddings and funerals, The Good Old Days and It’s A Knockout – not to mention golf, tennis, footie and racing fixtures every week. 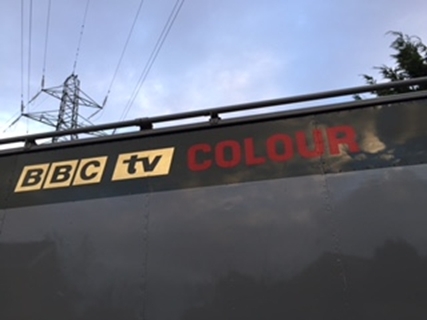 This “colour mobile control room” (CMCR), now lovingly restored by Steve, had a number of names over the years having worked in London (as LO5) and ultimately as North 3 on its last broadcast leg in Manchester. We were considering filming this CMCR, bringing it back in action for the ADAPT project, which is all about ‘hands on history’ as a way to understand a bit more about why TV was made the way it was in the past. Here’s John in Steve’s scanner on our recce when we were both slightly oblivious as to what the coming months may bring! Five months later, we are less than a week away from actually filming what has turned into a rather massive event. I have to say, cranking up an OB from this era has proven to be just a bit more hairy and challenging that any of us might have imagined! Even in their prime, with countless electronic interfaces and miles of cabling, these vehicles needed constant maintenance from an army of skilled engineers. Today, even after years of painstaking restoration, North 3’s reliability cannot be guaranteed. With the help of Steve Jones, one of North 3’s original engineers, Steve Harris took on the task of wrangling two seriously old cameras – a 50lb EMI 2001 (mostly found in the London OBs) and a Phillips/ Pye PC80 (the workhorse of the North) to get them back to full working order, A sample of some of the many emails exchanged between myself and the two Steves gives a sense of just how ambitious this project has become! While Steve Harris fights the technical gremlins, I turn my attention to trying to recruit a team of more than 20 people to operate this unit. First stop is a fun, and classically boozy, OB reunion event where I corner a few keen types and start to build a team. Cameraman Rex Palmer, engineer Brian Summers (a fellow enthusiast, who has his own TV camera museum) are recruited – we are on a roll. Of course, finding vision supervisors and engineers, sound engineers, a VT engineer, and riggers who are still around proves hard work: these men are now in their 70s and 80s. (I jumped for joy the day I found rigger Bob Parry known lovingly by the others as one of the notorious Parry Brothers and who has just had his 82nd birthday). Amidst golf trips and lunches and holidays abroad, I managed to juggle the schedules, say yes to a number of wives, dogs and visiting relatives from Australia, and it started to look like a full team. It consists of 18 men and one woman. The wonderful sounding Jane Whitmore will take the role of PA (production assistant) – one of the very few roles for women at the time. Jane, rather like a Countdown host, is a top mathematician which was key for live television as keeping time and the show to length was entirely down to her! Wanting to represent the bread-and-butter work of the Type 2 OB, we make the decision to film a small ‘sports’ event. Given the number of not so young folks and the sheer amount and weight of old kit we opt for the safety and relative reliability of an indoor venue (a hotel function space close to where Steve Harris keeps North 3 so not far to travel it, space to park and rig it and close enough for those inevitable trips back and forth to his workshop!). 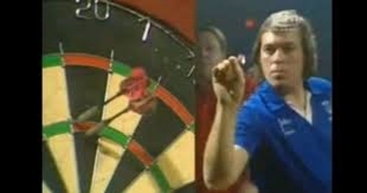 After much debate particularly over music and arts versus a sports fixture, we settle on the glamorous event of darts. We manage to bag John Gywnne to come and commentate and now we are all getting excited about scoring a 180 and puffing smoke and pushing pints around to make it all as atmospheric as it was in the day! Back to Steve’s emails and new concerns are raised over finding enough lengths of old camera cable. The problem is that it weighs so much it only exists in short lengths, and much of it has been scrapped because of the value of the copper wire inside. We also discuss coaxing one of Steve’s hefty 1” VT recorders from storage, where it has been since being rescued from New Broadcasting House in Manchester the day before the demolition men moved in. We are rather optimistically hoping it may record the event for us. “Is that ‘we’ ‘me’?” Steve Harris reminds us over and over. We help as much as we can, even sending up some extra pairs of engineering hands to help, but it really does fall to the two Steves and their soldering irons and manuals to solve engineering problem after engineering problem! By now, though, we’ve committing a date to it, committed a lot of very excited ex-crew and even a rather elaborate fixed rig of 12 cameras which is how we’ve decided to shoot it given the space limitations in the truck and the size of the crew! So, all in all, we’re in – and we’re in deep! Phew! Ron is on board and I’m banking on him to ‘make it happen’ along with director Geoff Wilson, vision supervisor Roger Neal and the incredibly talented bunch who have all kindly stepped forward for this. There are too many names to mention here but I’ll write about each of them and their over the next few weeks as I have a feeling this might be… eventful! For more information about North 3 and its restorer, Steve Harris, check out his comprehensive website on the subject. Amanda Murphy is Digital Producer on the ADAPT project. TV & Social Media: Inside/Outside Television Production? I’ve spent the past time I’ve had on the project trawling through the BBC Internet blog on topics to do with innovation and social media. So I thought I’d share a few observations from the 73 posts on Innovation (the most tagged entry: I’ve not read them all, just those that connect to social media) and the 12 on Social Media. Firstly, it’s worth noting that all of the blog posts on the BBC Internet blog about social media at the Corporation are at least 2 years old. Rather than suggesting that this means social media is no longer important – it indicates how much it has become part of the routine of production. One of these, from 2013, points to BBC Academy produced materials dealing with the relationship between TV, online and social. An interesting interview with Steven Green, Crimewatch Assistant Content Producer, provides some insight on how social media is integrated into, and changing, television production. Green discusses how the BBC’s Automatic Page System generates a programme page once a show is confirmed in the schedule, marking the start of social media work around the programme: sending out a “Tweet to link back to this page”. Green positions himself as somehow outside of the production team: being handed material to deal and convert for social/online use, and returning material back to the ‘production team’ for them to utilize. Taking a wider view of the way the BBC talk about social media on the BBC Internet blog, this is indicative of a wider trend. Those people with a responsible for social media tend to sit outside the television production team – working as engineers, researchers, product managers, audience analysts within the Future Media division. This is a division I’ve noted before in my work on multiplatform. The fact it continues to exist and may have even become routinized to those producers who are more closely aligned – in terms of physicality, timing and content – might suggest how television integration of social media’s into production might be described as axillary: inside/outside? In May, the ADAPT project filmed its first full-scale simulation: an historical re-enactment experiment designed to reunite television film production veterans with old equipment, in order to better understand how television was made in the past. We assembled a team of retired television production professionals, all of whom – at one stage in their career – had worked from the BBC’s Television Film Studios in Ealing. With the help of equipment collector and camera operator John Adderley, we borrowed hundreds of kilograms of cameras and sound recording equipment, along with all the lighting and cables necessary to recreate the technological conditions of 1960s television film production. I blink in disbelief at having pulled this off…as near 90 year old Ray Sutcliffe (once editor of BBC flagship series, Chronicle) David Whitson cameraman (and DOP) looking boyish still in retirement (made Man Alive and series like The Voyage of Charles Darwin ) John Adderley acting as camera assistant (Tribal Eye, Man Alive) Alex Branson PA, Bill Chesneau on sound, John Hooper as sound assistant and Alan Muhley electrician, all walked into shot carrying the Éclair camera, magazines for loading film, a Nagra 3 sound recorder and an old DK25 boom, a hefty wooden camera tripod and various redheads and blonde lights from the era, it felt a bit like a Fellini film! The combined age of the crew was likely somewhere around 600 yet this seasoned crew from the 60’s and 70’s worked together like they’d just made a telly programme yesterday! Now for one of the biggest challenges of the project- making sense of and editing the footage! […] For ADAPT I’ve got to wade through 1TB of material… that’s around 15 hours of footage with seven people often talking all over each other, sometimes demonstrating sometimes ‘presenting’ to an imaginary audience, sometimes getting on with filming, sometimes explaining it, often using old familiar jargon, often walking off camera or asking for a chair or standing listening to others. We have now started to make sense of all that footage, and we have begun to assemble it into sequences which we hope will be of use to historians of film and television. We’re pleased to be able to start releasing rush edits of some of the footage we shot back in May. These take two forms. Firstly, we are ready to share three bite-sized portions of the main filming event. These give a flavour of what we asked our veteran crew to do, and how they responded to our challenge. In the first of these videos, you’ll see the crew preparing their equipment: loading film magazines, checking the focus of lenses, and synchronising sound recording equipment. In the second clip, you’ll see what happens in the few minutes before their filming begins and after the “cut” is called. We asked our crew to film a short interview with our principal investigator, Prof. John Ellis. In this clip, we see the crew explain to John how they intend to film him, and make final preparations to roll the film and record sound. 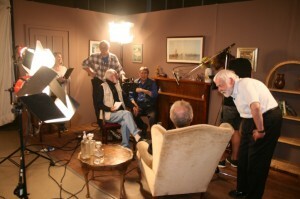 After the interview itself – which is not shown in this clip – the crew confer with each other in order to establish whether the various technologies operated correctly, and whether further shots need to be taken. The third and final clip from the simulation shoot shows our crew filming in a different environment: outdoors, on the grounds of Royal Holloway, University of London. What we didn’t tell our crew in advance was just how tricky that would be: we positioned them next to a busy road and underneath Heathrow’s departure flightpath. Asking the crew to carry out an interview while motorbikes roared past and jets buzzed overhead was as close as we could get to recreating the conditions of a busy city. In addition to these clips, we have also uploaded a ten-part playlist of clips from a filming session we carried out with lighting cameraman David Whitson and electrician (i.e. lighting expert) Alan Muhley. 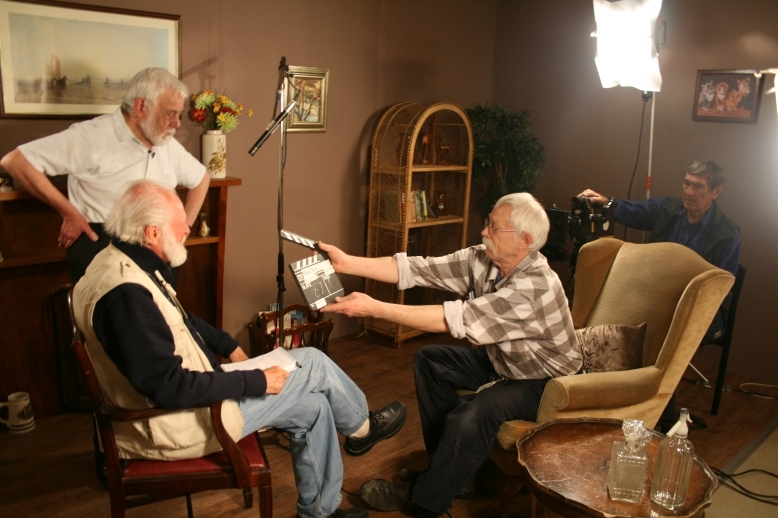 Our approach here was different: rather than ask David and Alan to use the old equipment, we simply filmed them handling it, while talking about their memories of using different types of lighting equipment. This is the first of several such ‘reunions’ between people and technologies: we will soon release similar playlists which document our participants’ memories of sound recording equipment and 16mm film cameras. These clips are not fully contextualised yet. They are the rough, raw, products of our historical research. They are data, not findings. In time, we’ll be working on edited packages of material which will explain in detail how technologies and people worked together. Finally, we intend to release – to the fullest practical extent – our rushes, under a minimally restrictive Creative Commons licence, so that anyone can build upon, remix, and contest, the results of our research. Nick Hall is a research officer in the Department of Media Arts at Royal Holloway, University of London. In 2011, the BBC’s social media guidance was simply “don’t do anything stupid”, equally Channel 4 adopt an approach of ‘if you wouldn’t say it on air, don’t post it online’ (Broadcast, 23/02/12). 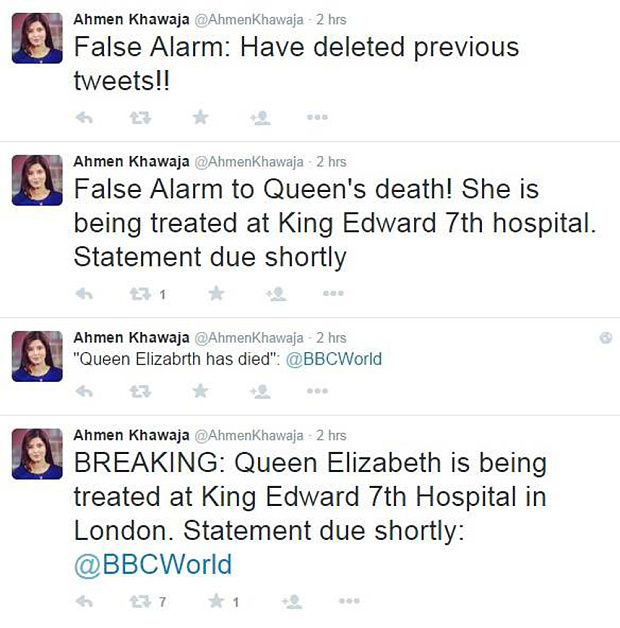 Yet as the recent ‘Queen has died’ (June, 2015) Twitter blunder by BBC journalist Ahment Khawaja reveals, in which the journalist mistook a ‘behind the scenes’ preparation for the inevitable event, those working in broadcast organisations may find it difficult to follow these apparently ‘simple’ guidelines that attempt to demarcate the relationship between traditional platforms, such as television, and social media. 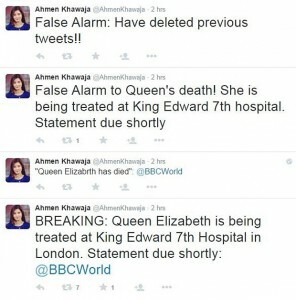 As a result of her error, Khawaja reportedly faced disciplinary action and the BBC Trust later found the incident represented a serious breach of its social networking policy (Broadcast, 07/07/2015). The incident raises interesting questions in relation to the launch of the new strand of the ADAPT team’s research. Commencing this July 2015, this ‘live’ project will examine how social media operates as a television production technology, acting as a disruptive innovation coming from outside of the broadcast industry field. The incident demonstrates how the routinisation of social media into production practices still leaves gaps, or breaks, to occur between Corporate decision-making and strategy and individual practice; the pressure felt by production workers to utilize the immediacy of social media and enhance their own ‘brand’ or visibility within production networks or with audiences; and potentially points to issues of training and the increasingly blurred lines between professional and personal personas – on and off line – in contemporary media production. In turning innovation to routine use, conflict and incoherence are as much a part of the story as official accounts that promote success stories and coherent managerial strategies. Thus, arguably, is the nature of creative disruptive. In this instance, it is interesting to read Khawaja’s ‘blunder’ in relation to such official rhetoric: on the one hand, Rajiv Nathwani, BBCOne and Two’s Social Media Manager, recently described the Corporation’s approach to social media as needing to create a “personal space”, emphasizing content that was presented in a different way: funny captions, behind-the-scenes and ‘off the wall’ messages. Equally, however, official guidance seems to suggest the Corporation discourages ‘hybrid’ Twitter or Facebook spaces – even though these have tended to be the most successful (see Liz Evans’ work here). Khawaja’s mistake here is to fall between these competing messages. As this project investigates how social media are adapted to, and adapted, into production routines within contemporary factual television, the relationship between innovation and strategy, coherence and disruption, personal and professional will continue to be explored. James Bennett is head of the Department of Media Arts at Royal Holloway, University of London. This colloquium aims to make a decisive intervention in this emerging area of academic interest. It is part of the ADAPT project, a European Research Council funded project investigating the history of television production technologies through hands-on simulations. Research conducted by ADAPT will form a key case study for the colloquium. In order to facilitate productive discussion, numbers will be limited. It is expected that papers presented will form the basis of an edited collection focused on hands-on historical research. We invite proposals for research presentations, panel discussions, and historical equipment demonstrations. Presentations may take whatever format is most appropriate, and we welcome approaches which deviate from the traditional 20 minute lecture. Please send a brief proposal to nick.hall@rhul.ac.uk by 28 August 2015. I’ve worked in television for over 25 years since the mid 80’s having filmed with such varied folks from Hollywood greats like Elizabeth Taylor, Frank Sinatra and Tony Curtis to the very first Big Brother contestants and Supernanny Jo Frost… but nothing has ever felt so life affirming and heart warming as the filming I‘ve just done for the ADAPT project with a group of seven utterly awesome (mainly) octogenarians who all once worked at BBC Ealing film studios. We are focusing on 16mm filming on location for TV – so documentaries, topical current affairs shows like Man Alive and Chronicle as well as Play for Today along with a raft of 60’s and 70’s shows as the BBC film unit covered all programmes shot on film on location. Crews then had to be multi-skilled as they often had to shoot a drama one week and a schools programme or jungle based documentary the next. So I blink in disbelief at having pulled this off…as Ray Sutcliffe (once editor of BBC flagship series, Chronicle) David Whitson cameraman (and DOP) looking boyish still in retirement (made Man Alive and series like The Voyage of Charles Darwin ) John Adderley acting as camera assistant (Tribal Eye, Man Alive) Alex Branson PA, Bill Chesneau on sound, John Hooper as sound assistant and Alan Muhley electrician, all walked into shot carrying the Éclair camera, magazines for loading film, a Nagra 3 sound recorder and an old DK25 boom, a hefty wooden camera tripod and various redheads and blonde lights from the era, it felt a bit like a Fellini film! The combined age of the crew was likely somewhere around 600 yet this seasoned crew from the 60’s and 70’s worked together like they’d just made a telly programme yesterday! And while I’ve got one eye on the participants as they join forces to film once again with a 16mm camera kit, I’ve got the other on our student crew from Royal Holloway University (where the Adapt project is based) who have been selected as they have shown exceptional talents on camera and sound but who are barely 20… and as I stand in the middle, both professionally and age wise, it’s one of those defining and memorable moments. Pivoting between the young learning from the old, learning from the young as I learn from both and feel blessed that I was given this great job as Digital Producer on the project! Everything about casting for, filming and even editing together material for the project has been so very different from my producing experience for TV – in an interesting and often deeply inspiring way. The purpose of the ADAPT project run by Royal Holloway University of London (and funded by European Research Council over 5 years 2013-2018) is to pass on knowledge in a hands on history way about TV and how and why it was made the way it was – in a way that’s never been done before. Strangely non-one has ever reunited people with the kit they once worked with before – filming them as they rediscover, remember and then use that kit again. I’d of course imagined that finding physically fit and able, yet elderly, former TV crew members with memories in tact might well be tough. But the casting experience was enlightening. I found myself meeting fabulously fit, extraordinarily capable and lucid folk who were fascinated by our Adapt project and keen to take part. All seemed to be going swimmingly well, especially after meeting the wonderful John Adderley who not only owned just the kind of old film cameras and kit we so desperately needed ( and working ones! ), but is also so well connected, meaning I was now just a few phone calls away from many of the BBC Ealing studios lot. But then came the stream of calls and emails alerting me to upcoming skiing trips, cruises, sailing commitments and Russian language courses! After an action packed TV career, of course they were all out enjoying adventurous and travel filled retirements! I finally found some dates that worked for most though Producer/Director Ray Sutcliffe did say he might not make it back in time from his Adriatic cruise! Lucky for me Ray did in fact make it, and I’m eternally grateful as under his direction, the newly reunited film crew most of whom had not seen each other for 20 years or more, proceeded to film with the Éclair camera and Nagra sound kit – using our specially created 1960’s domestic backdrop (thanks to the lovely Royal Holloway art department) to demonstrate how sync sound interviews were achieved back in the late 60s and how decisions were made around lighting, interviewing, filming establishing shots and exterior interview material for what would have been a key section of a documentary of its day made on 16mm film. Watching the professionalism of the crew all respectfully but efficiently supporting each other in their pursuit of best picture, best sound, best lighting, falling back into the language and etiquette of the past ‘ Is that redhead ok for you Dave?’ (Alan Muhley gaffer to cameraman David Whitson), ‘OK for sound Bill?’ (David Whitson to soundman Bill Chesneau), ‘mag loaded’ John Adderly, and most of all, witnessing these guys who have not made a TV programme for over 20 odd years, roll 8 minutes of 16mm film capturing at least 3 minutes of broadcast footage! That’s a ratio of less than 3:1 ! Ironically for me, this is just what we are doing as we film them … filming! I come from the discipline of linear TV (mid 80’s it was all still linear) where programmes were pre-scripted and edits were pre approved from ‘paper edits’ and an edited programme never got changed by a commissioner (hard to imagine now!) but here we are for the project, filming almost continuously! The footage which is for the project’s use not for TV broadcast, has to serve a completely different purpose. It is ultimately for educational and research purposes and for academics, historians, media fans, students and telly addicts. 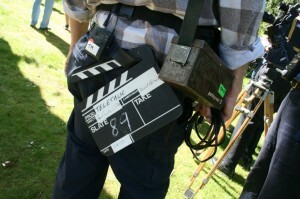 As the focus is all about reuniting technicians with equipment they used to work with, the project is intrinsically interested in memory, thus dictating that the reunited crew have the time and freedom to allow memories to be reignited, memories of each other, of the way they worked together, the conditions under which they worked, memories of the kit whether they have or haven’t forgotten how to use it etc (‘Come to daddy’ says Dave Whitson when he first sees the Éclair camera). Me with the Éclair camera, yelling for someone to take it off my shoulder after just two, minutes it’s so damn heavy! So, when filming I had to resist over producing them and getting them to demonstrate the way I wanted the kit demonstrating or to tell me the fabulous stories they had told me in the pub over a pint etc rather leaving them uninterrupted and with the freedom to feel the kit, to explore how it works, to engage and re-connect with each other… in short to allow their memories to be triggered through the hands on experience rather than from a lot of short sharp pokes at it from a producer like me! This was clearly a challenge both to me personally (my instinct from producing format and feature shows is to get points across quickly and succinctly) and to our filming methods. I made the decision that the best way to cover the actions of up to 7 people moving around and a whole load of kit , was to shoot it all handheld so we could come to the action rather than expect any of it to come to us– and supplemented 2 hand held camera with 2 fixed cameras overhead to give us some general wide shots of the scene. Our poor two camera guys Joe Burns and Zak Derkler who were brilliant, are probably still having massages having barely had a moment to put the cameras down. No gym for them for many weeks to come! I’m not quite sure I should say this, but I think our young crew tired well before our old crew who were so energized by the reunion and experience I think. Long after calling ‘cut’ they carried on sharing memories and playing with the kit, we kept having to pick up cameras and keep rolling! Now for one of the biggest challenges of the project- making sense of and editing the footage! Having encouraged the reunited film crew to indulge in memory and hands-on experience with the kit, the edit challenge is proving so very different to TV editing where short succinct sync bites and simple narrative rule! For Adapt I’ve got to wade through 1TB of material… that’s around 15 hours of footage with 7 people often talking all over each other, sometimes demonstrating sometimes ‘presenting’ to an imaginary audience, sometimes getting on with filming, sometimes explaining it, often using old familiar jargon, often walking off camera or asking for a chair or standing listening to others. The original version of this post incorrectly stated that Ray Sutcliffe is 90 years old. This is not the case and this post was edited on 21 December 2015 to correct this error. Vintage television production equipment took centre stage last week as a veteran team from the BBC’s Television Film Studios at Ealing were reunited with obsolete film equipment as part of a unique historical re-enactment experiment. 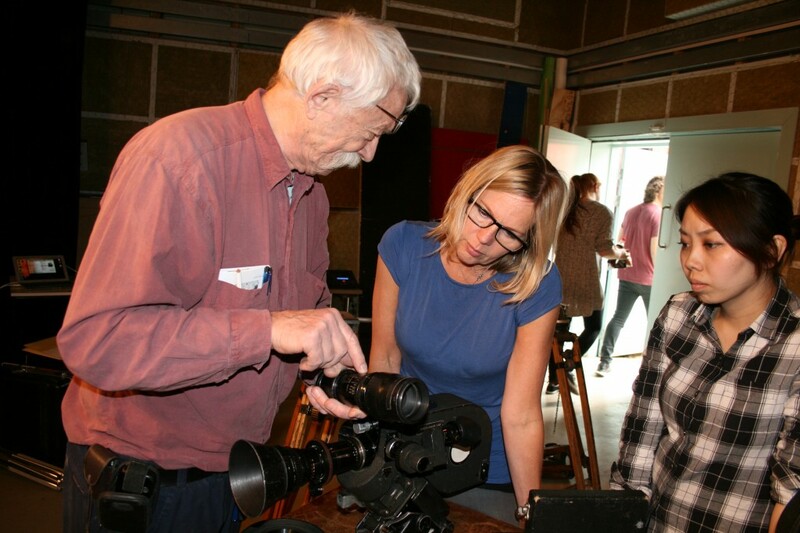 The event took place as part of ADAPT, a European Research Council funded project designed to improve our understanding of the changing ways in which technology has been used to make television since 1960. For the retired film crew, it was a first chance in decades to revisit the lights, cameras, and tape recorders they once used every day. Camera operators David Whitson and Brian Tufano were joined by sound recordists Bill Chesneau and John Hooper, production assistant Alex Branson, electricians Alan Muhley and Tommy Moran, and director Ray Sutcliffe. Vintage equipment collector John Adderley, who also fulfilled the role of camera assistant, provided a vast range of equipment from his personal collection, including two Arriflex St cameras (one with an external blimp) and an Éclair NPR camera. The range of sound equipment available included a wind-up EMI L2 and two Nagra tape recorders. Lights were, as far as possible given current safety regulations, those which would have been used at the time. The veteran crew demonstrated how the equipment worked, rediscovering it as they went. They explained and demonstrated their roles and how they used to work together. They shot a number of interior and exterior sequences onto film. The experiment provided ample evidence for the value of carrying out such hands-on research in the history of technology. Handling the vintage equipment reminded participants of working patterns and routines which may not have been recalled in a more traditional “oral history” interview. Using the old equipment brought to light forgotten advantages and limitations of different technologies. The entire exercise was recorded on multiple Sony PMW-100 cameras. 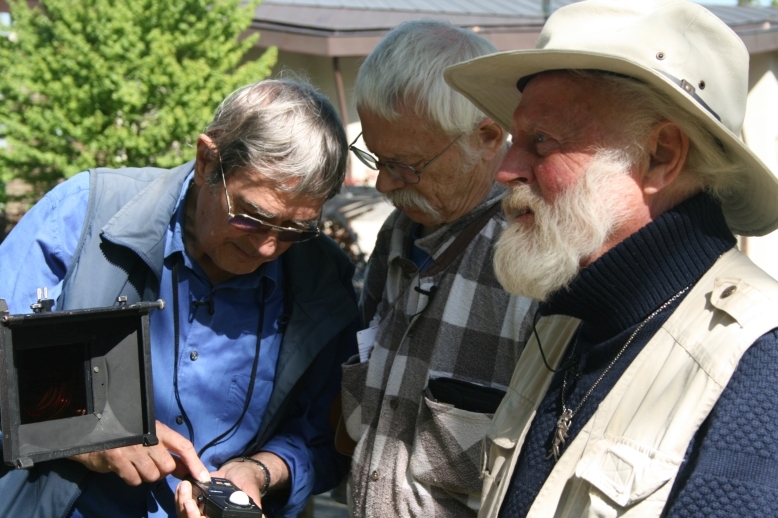 The participants were equipped with wireless microphones which enabled them to freely discuss their memories and actions with ADAPT researchers and each other. Over the three days, the simulation generated almost 1TB of sound and image data. This footage will now be edited into a number of packages explaining aspects of 16mm filming, to join the material already available from the pilot shoot about 16mm editing. The shoot was directed by ADAPT team member Amanda Murphy, with assistance from Royal Holloway staff including media arts technician Sri Southall and studio manager John Walsh. Southall directed camera operators Joe Burns and Zak Derler, while Walsh – assisted by Summer Walker – oversaw the event’s complex sound recording requirements. Additional assistance was provided by Molly Pearson and Patsy Webb, who – along with ADAPT PhD students Rowan Aust and Tim Heath – ensured that participants were taken care of and digital files were appropriately transferred to secure storage. ADAPT is led by Prof. John Ellis and funded by the European Research Council and will run until 2018. Future simulations will trace the other major ways of generating television programmes, from outside broadcast to video tape editing. Please note that these studentships have been filled and are no longer open to applications. The Department of Media Arts at Royal Holloway, University of London is pleased to advertise two fully-funded doctoral studentships in the field of Television History / History of Technology. Click here to download full details of this opportunity in PDF form. 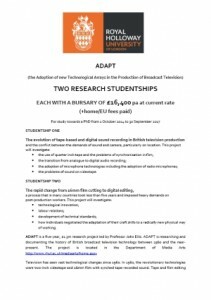 These studentships offer an opportunity to join ADAPT (the Adoption of new Technological Arrays in the Production of Broadcast Television), a five-year, £1.3m research project led by Professor John Ellis. The studentships will cover full UK fees plus an annual maintenance grant of £16,400. The standard length of the award is three years of full time study. It is anticipated that the projects will commence on 1 October 2014 and conclude by 30 September 2017. Studentship One will investigate the evolution of tape-based and digital sound recording in British television production and the conflict between the demands of sound and camera, particularly on location. Studentship Two will investigate the rapid change from 16mm film cutting to digital editing in the context of British television production. Successful applicants will hold, or will expect to have completed by September 2014, a Masters degree in Film Studies, Television Studies, or a related subject. Experience of research in written archives and/or the collection of oral history will be beneficial, as will an understanding of the methods and concerns surrounding the history of technology. The successful applicants will join a busy department with an active research culture in the fields of film, television and digital media. In addition to working under the supervision of the project leader, Prof. John Ellis, they will benefit from the support of a research team including Dr James Bennett and Dr Nick Hall. Potential applicants are strongly encouraged to read the full advertisement, and to make informal enquiries to Prof. John Ellis at john.ellis@rhul.ac.uk. Applicants should first complete an online application form, which can be found at this link. Please select ‘Media Arts PhD’ under ‘Programme’ and add ‘ADAPT’ under ‘General Research Area’. Applications must be received by 5pm on Monday 2nd June, 2014. Interviews are planned for the week of 16 June 2014. Welcome to ADAPT’s new website. ADAPT aims to research and document the history of British broadcast television technology between 1960 and the near-present. This five year project has been funded by the European Research Council. Over the years to come, we’ll fill this space with details of the project as it develops and begins to produce insights into the history of British television. We will also provide regular blog posts from members of the project team and other television scholars and researchers. In addition to carrying out academic research, we also want to hear from the many enthusiasts and local historians who research television history. Over the next five years we will organise a number of events which will help to promote and share these important sources of television history. We look forward to sharing and discussing our research with you soon. If you’d like to hear more about the project, or offer your own memories of British television production since 1960, you can email us at adapt@rhul.ac.uk. If you prefer to write a letter, our address can be found on the Contact page of this website.